PassPorter's Walt Disney World 2017 ... winner of 13 awards! PassPorter's Disney Cruise Line and its Ports of Call 2017 ... now sailing! PassPorter's Disneyland Resort & Southern California Attractions 2017 ... now sailing! Key to the World Card New Disney Cruise Ships! 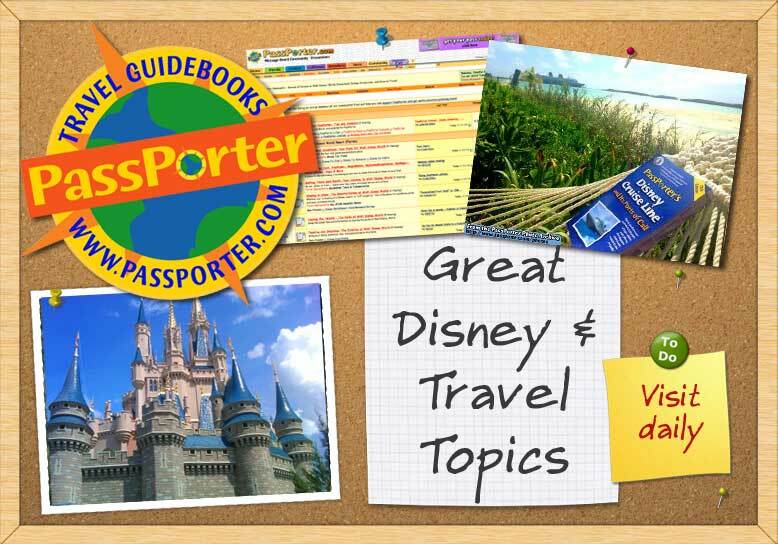 Tip: Register or login to make the most of the PassPorter Community message board! Questions, feedback, and updates for PassPorter.